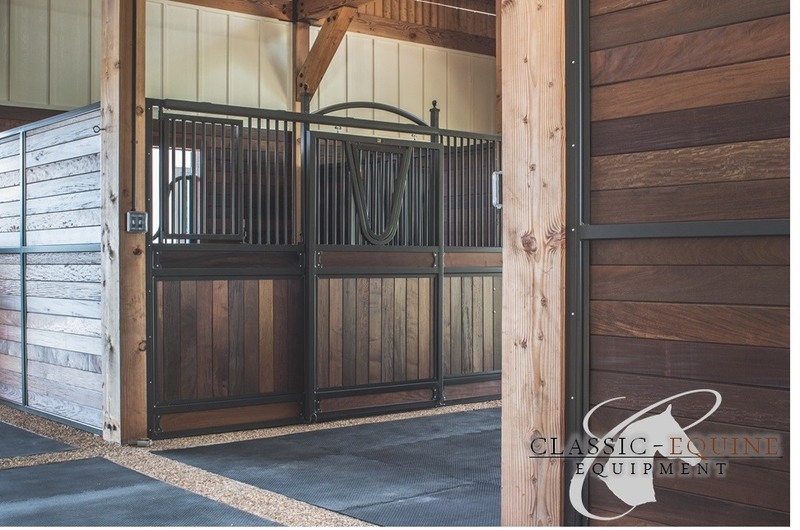 Project Details: Classic Equine Equipment is very lucky to be a part of such an amazing facility with great people. 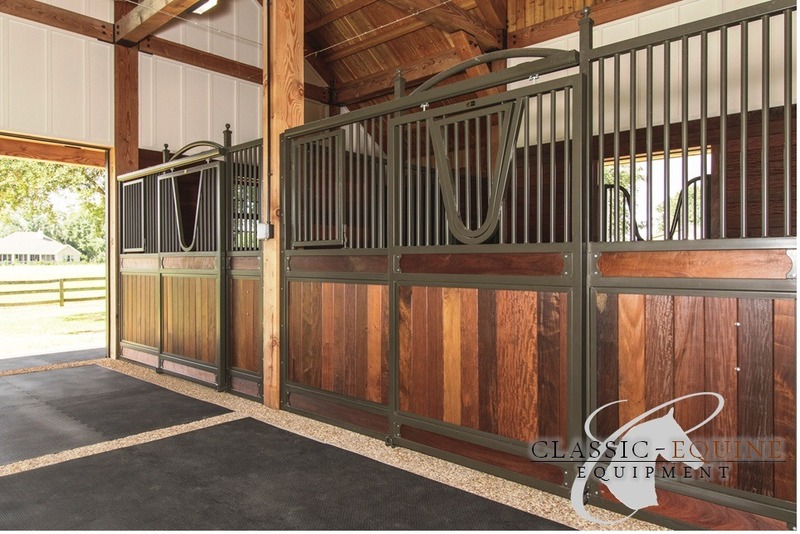 Wanting the ultimate equine oasis, Foncie had a vision of her dream barn and end goal. She desired a simplistic elegant style with oustanding functionality. 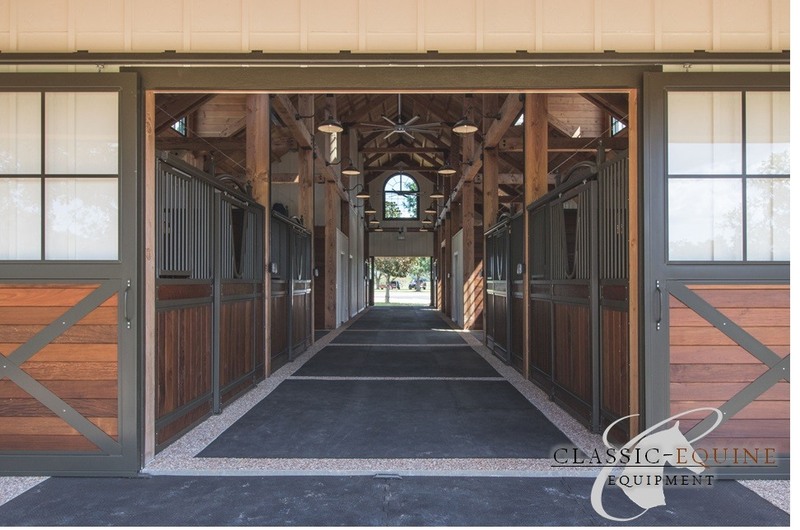 Classic was able to accomplish all her objectives, thus making her dream barn a reality. 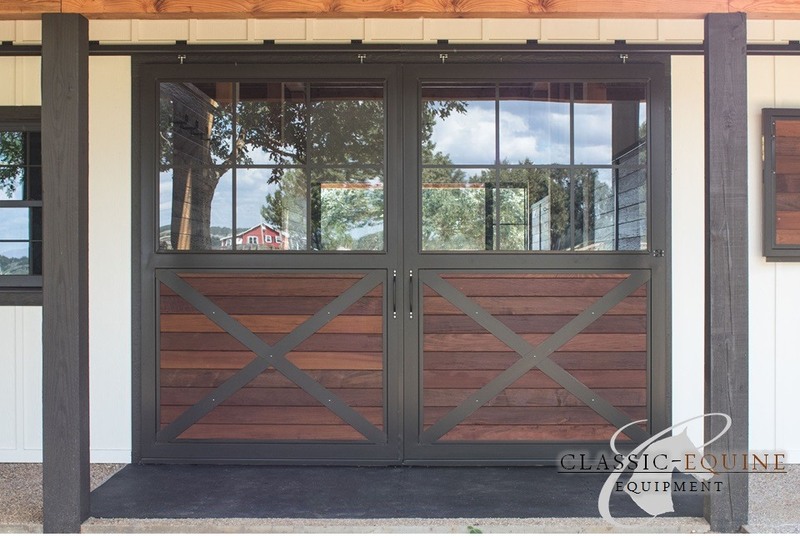 Product Specs: Our full framed sliding stall fronts were selected as the best fit for this barn. With the accent archwork across the door and more decorative wood fill pattern, a classy yet uncomplicated stall design was the result. 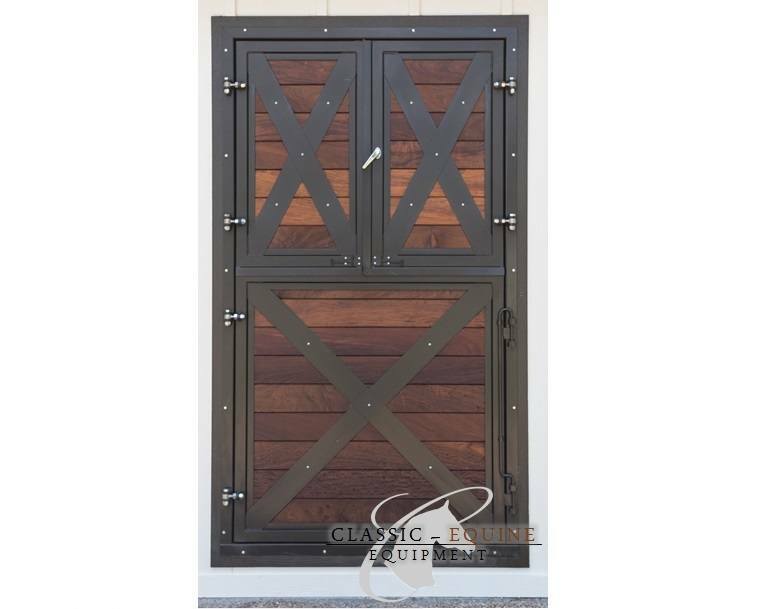 That same look and style was carried throughout this project from the oversized barn end doors to the shutter style Dutch doors. No detail was overlooked in this exquisite barn! 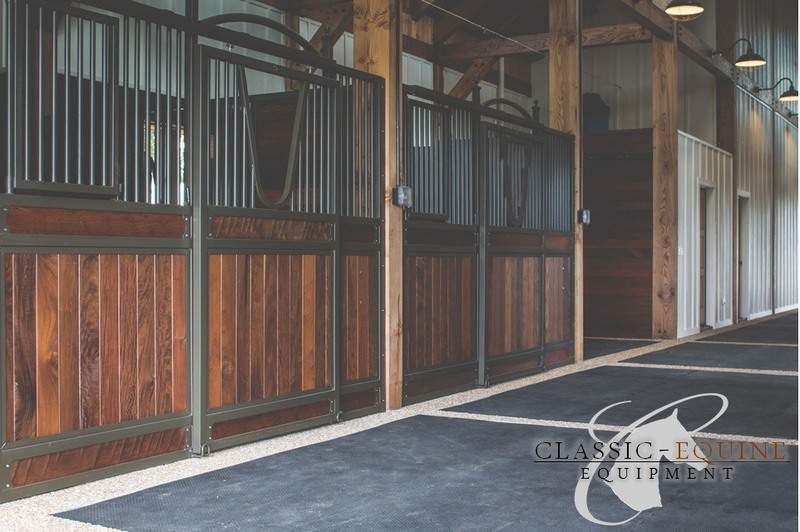 From the Customer: "The barn is awesome. 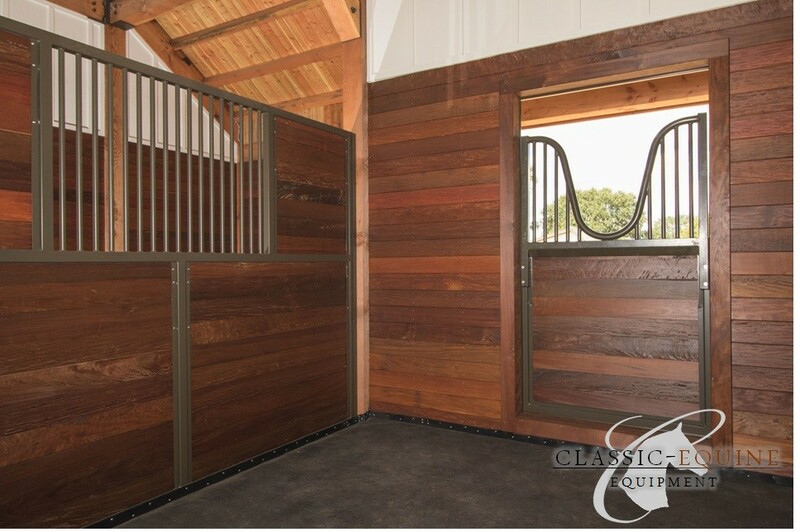 I know we are very pleased with Classic Equine's part in making this barn so very special. The Ipe wood in the Classic frames is just beautiful and elegant. Thanks for adding extra class to Undigo Farms!" 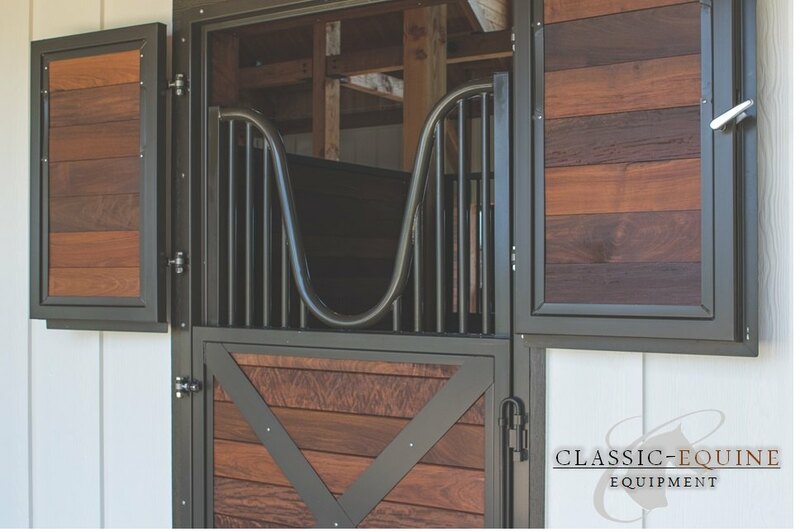 A special thanks to John Stein at Stein Equestrian for your professionalism and knowledge overseeing this project. All of the hardwood for this project was supplied by Overseas Hardwoods Company.